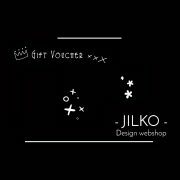 Questions for Jilko? Find all your answers here! Turn your device to check the table! Home Delivery is done by the Bpost & DPD network. Pick up at Jilko (Meldert, Belgium) is only possible upon appointment. All items which are in stock are shipped at latest the day after your order. Online payment methods (so all except BACS / wired transfer) are handled on the external secure platform of Mollie. You might see “Mollie” as the receiver of the payment in your banking tool. By default, customers get a receipt. An invoice can be requested. Upon shopping and adding items to your basket, you can redeem the value of a coupon when reviewing your cart. Right under the overview of your products, enter the coupon code and press “Apply Coupon” to get the discount. The page will reload and you’ll see the updated price. Hence you can proceed to the checkout to confirm your order. Visit us to see the products with your own eyes! You’re doubting whether this is really what you’re looking for? Or the product has the shape which you expect? Or you just can’t choose and want to see our products in real life? That’s possible! Contact us to make an appointment at Jilko’s place and view the products in real life! If we have the items in stock, you can immediately take them with you (after payment) or you can order the products here and after payment, we’ll deliver the products at your home! Payment @ Jilko is only possible with the Bancontact app on your smartphone (free download).